… (nerium oleander) I took this when we went to Sto. Nino Shrine on Sunday. This flower is commonly known as Adelfa in the Philippines. 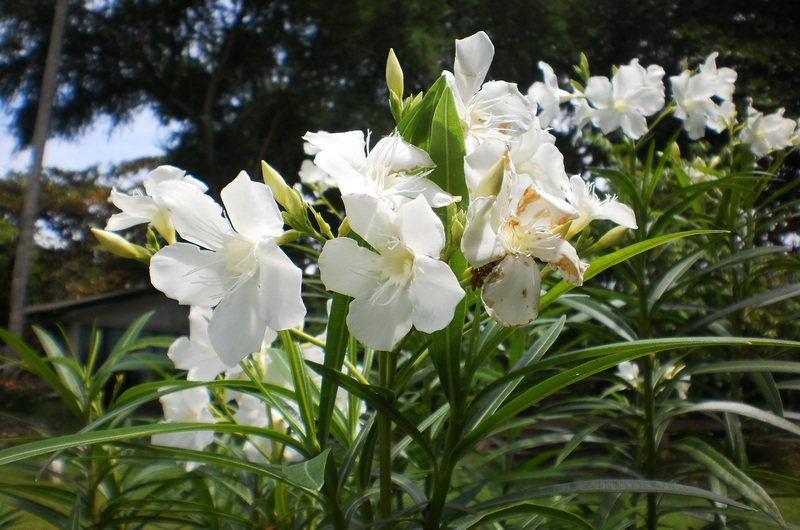 This can be a beauty but Oleanders is one of the most poisonous of commonly grown garden plants, they can be very toxic if ingested in ample amount. The book White Oleander which was made into a film starred Michelle Pfeiffer, whose character is metaphored on the character of this flower; she was a hearty-but-poisonous woman whose beauty makes it appear deceptively fragile. Are you this flowers character? Well, I admit but I know my limits... woman can be possessive sometimes. those are beautiful! I had no idea it's poisonous, though! poisonous diay ning adelfa Vernz, sus naa ani daghan didto sa akong lola sa Bohol, kasagaran kay pink..
Beautiful bloom, di pa ako nakakita nyan ate. So pretty! Didn't know that they were poisonous. They do smell really nice if I remember correctly? that`s to bad they are dangerous. Very pretty though. I didn't know it was poisonous, I think I have one in my plant pot..
pretty blooms.. poisonous diay na? I didnt know..
Ayown! Ang ganda... 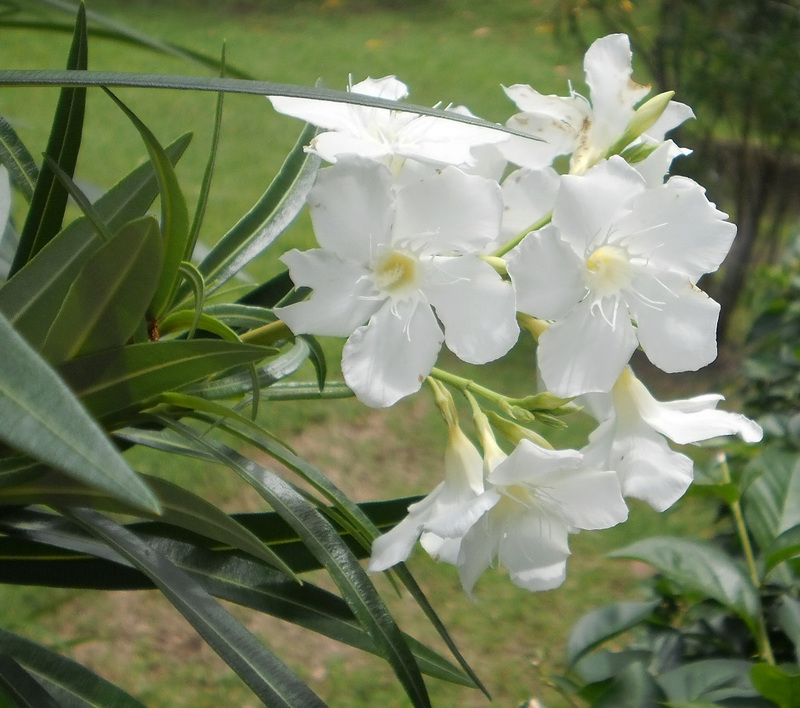 So those are called "oleanders" pala.. hehehe... Nice shots po, Ms Vernz.. Looking at such nice flower you wouldn't say it can be poisonous! agoyg inoo...pagka gwafa kau sa imong flower te...love the shots!